A new year symbolizes a new start, a lot of families redecorate their homes to give a new look throughout the year. A change of look can start so many possibilities and it can also be a way of telling yourself that things are about to change. It could be repainting of the rooms or maybe a new set of dinning ware. We take so much time into details because we think that these tiny details makes up for the entire look, and it usually is. A good looking home can motivate you to do good things. By redecorating we should also keep in mind that we have to maintain the cleanliness of our home, by maintaining it clean we are also maintaining our health and the safety of the people living under its roof. We don’t want to be victimized by un-invited guests such as burglars and criminals, though one of the least obvious suspects are the disease carrying insects that can easily access our homes if we don’t maintain the cleanliness of it. Mosquitoes can make your home a dengue zone, as easy as leaving water in pots or tires around your home. 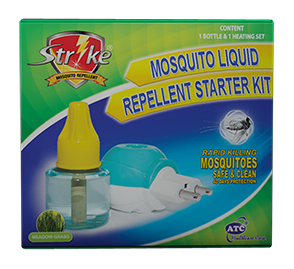 Fight dengue and insect related diseases by using Strike Mosquito Liquid Repellent. Strike Liquid Repellent is P248.75 per starter kit and P174.75 for 45ml refill bottle. Strike Liquid Repellent is available along with other variants - Strike Multi Insect Killer Spray, Strike Coil, Strike Mat and Strike Patch at SM Supermarkets and other leading supermarkets nationwide. Para iwas dengue, Strike agad!